 Kohina Law Firm, PLLC | Dedication, Excellence, Results. The so-called 30/60/90 day rule was an extremely important rule both for visa applicants and those applying for adjustment of status. In this post I’ll go over what the old rule used to be and explain how the new rule works. Under the old rule the Department of State’s Foreign Affairs Manual and USCIS imposed a presumption of fraud on persons who entered the United States with a non-immigrant visa type (such as B tourist visa, business visitor, student, trainee etc.) and later married a U.S. Citizen and applied for adjustment of status within the first 30 days of entering the United States. 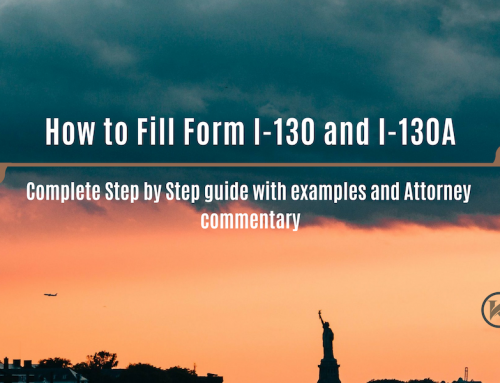 To clarify, if an alien files for adjustment of status within 30 days of entry, the government can presume the person misrepresented his or her intention in seeking a visa or entry. A finding of misrepresentation or fraud can result in a drastic lifetime bar to entering the U.S. 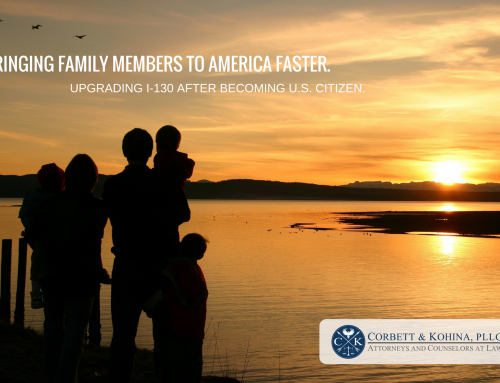 If the marriage and application for adjustment of status occurred more than 30 days, but less than 60 days, after the foreign national’s entry to the United States, the FAM provided some relief to individuals in such a situation by allowing them to rebut such a presumption of fraud. Finally, if the act occurs more than 60 days after admission into the United States, there is generally no basis for a misrepresentation or inadmissibility finding. Undertaking any other activity for which a change of status or an adjustment of status would be required, without the benefit of such a change or adjustment. For marriage-based green card applicants this means that if you have entered the United States on a non-immigrant visa type, and you then marry a United States Citizen and apply for permanent residency within 90 days of your entry to the United States, immigration will perceive your immigrant filing as a willful misrepresentation of your true intention of entering the United States, which constitutes fraud. Accordingly, the foreign national will be placed in removal proceedings, and in addition, may be barred from gaining admissibility to the United States for life. 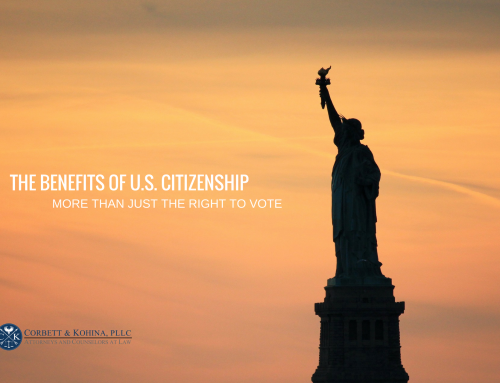 Therefore, if the foreign national misrepresented his or her true intentions in gaining admission to the United States fraudulently either at the time of the visa application, at a DHS port of entry, or in filing for an immigration benefit with USCIS, the presumption of fraud will apply to the foreign national. Theoretically, individuals who engage in ANY of the prohibited activities above while on a non-immigrant visa type, within 90 days of gaining admission to the United States, will be presumed to have committed fraud. The 90-day rule technically applies only to the U.S. State Department. 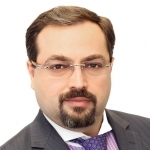 That means its direct effect is primarily on those applying for visas at U.S. consulates. 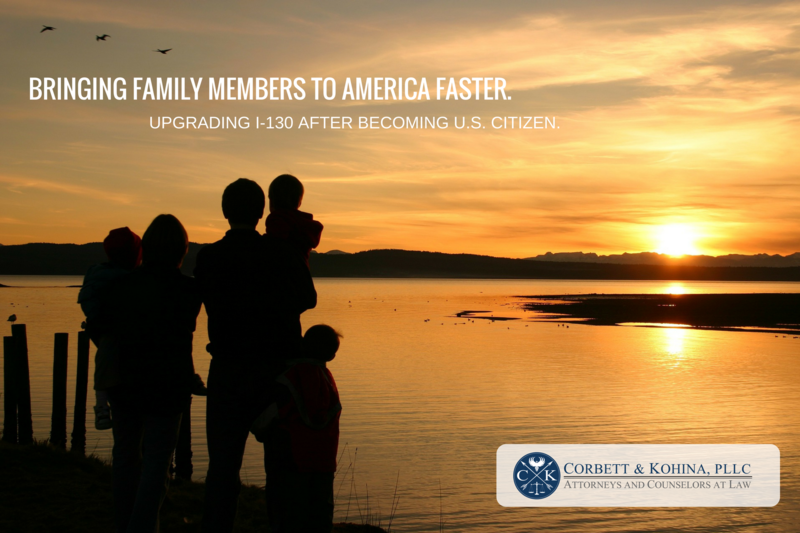 But the old 30/60/90 day rule was also – in practice – applied by USCIS in an adjustment of status applications. Recently USCIS updated its Policy Manual clarifying its position on the U.S. Departments of State’s rule stating that “The 90-day rule is not a “rule” in the sense of being a binding principle or decision. The rule is simply an analytical tool that may assist DOS officers in determining whether an applicant’s actions support a finding of fraud or misrepresentation in a particular case. 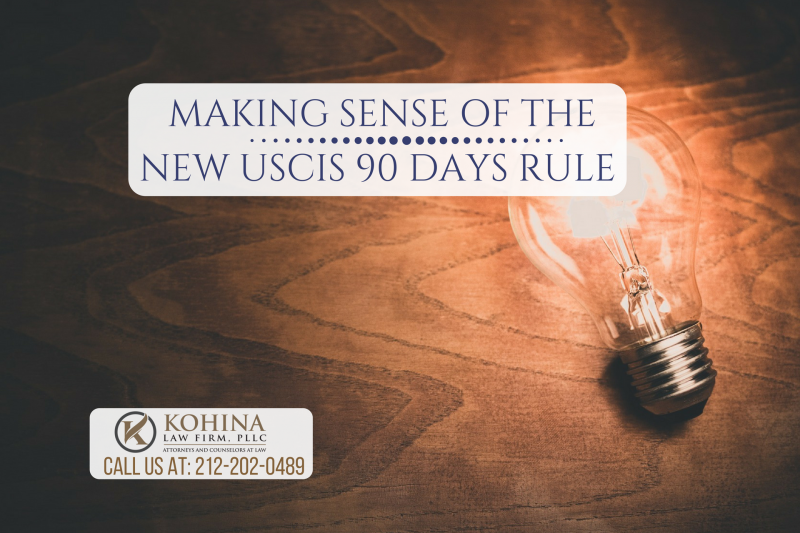 This DOS 90-day rule is not binding on USCIS. Officers should continue to evaluate cases for potential fraud indicators and, when appropriate, refer cases to Fraud Detection and National Security according to existing procedures. The new 90-day rule that replaces the 30/60 rule is clearly harsher as the presumption that the person misrepresented his or her intentions is for a 90-day period as opposed to a 30-day period. Still, like under the old guidance, the key issue is what the intention of the person was at the time of issuance of the visa or at the time of admission into the United States. Therefore, even if there was allegedly inconsistent conduct within the 90 days, there are ways to rebut the presumption. Applicants should not instinctively take extreme actions such as withdrawing an already filed adjustment application and switch to consular processing or refrain from filing such an application within 90 days. Rather, they should consult with an immigration attorney to determine whether there could be a defense to a potential allegation of misrepresentation. “If you want to avoid rejections because of mistakes, errors, inconsistencies and omissions, or simply want the peace of mind that an attorney reviewed your forms and documents then my $249 Naturalization Application and Forms review service is perfect for you, no matter where you are. 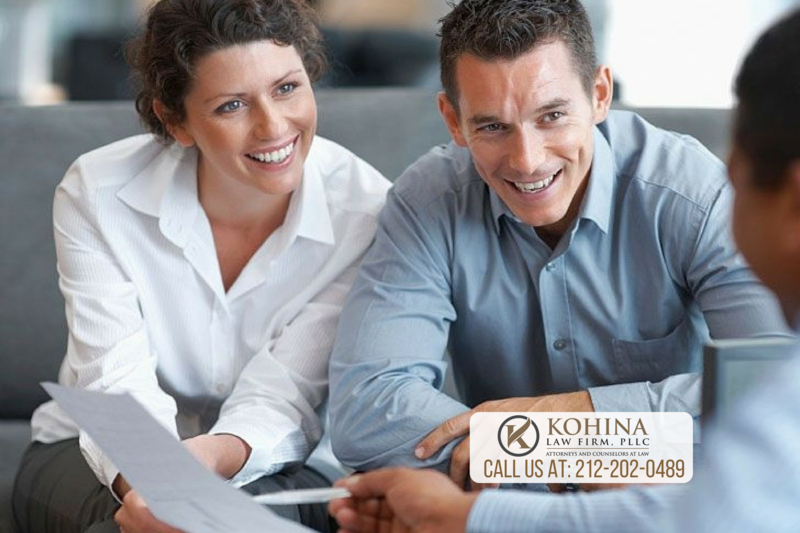 Feel free to email or call me at 212-202-0489 for a no obligations free consultation.” DAVID KOHINA, ESQ. 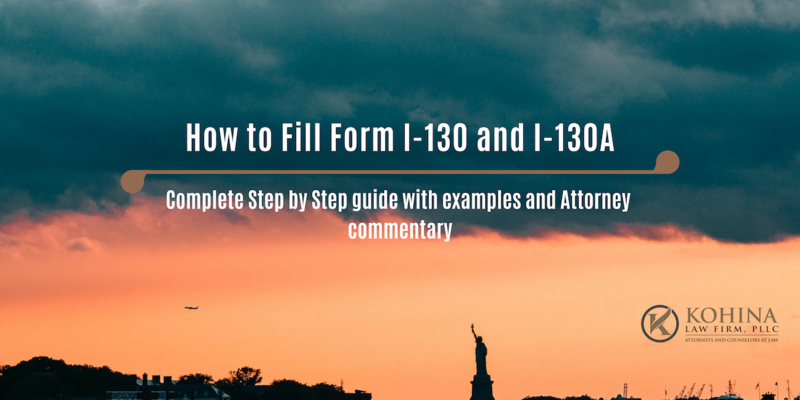 How to Fill Form N-400 Application for Naturalization – Complete Step by Step guide with examples and Attorney commentary. UPDATED. I am very grateful to David! only he helped me deal with the visa and I still know that I can always turn to him. I'm glad I could find my lawyer! Such a wealth of helpful information. I had referred a friend who was terrified of the whole immigration process. She was greeted by David Kohina with warm welcoming arms and her situation was resolved quickly. One of the things that make him great is his caring dedication for each and every case he receives. As an immigrant himself, he knows what it was like coming to this country, and he wants others to have a smooth an experience as possible. Thank so much for your reply! 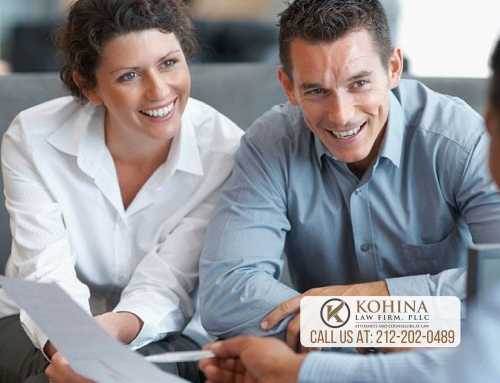 At Kohina Law Firm, PLLC, we are committed to providing clients with the aggressive, dedicated and experienced legal representation they require. When we choose to take a case, we do so with an understanding of what is at stake and a deep sense of commitment to the people we serve. 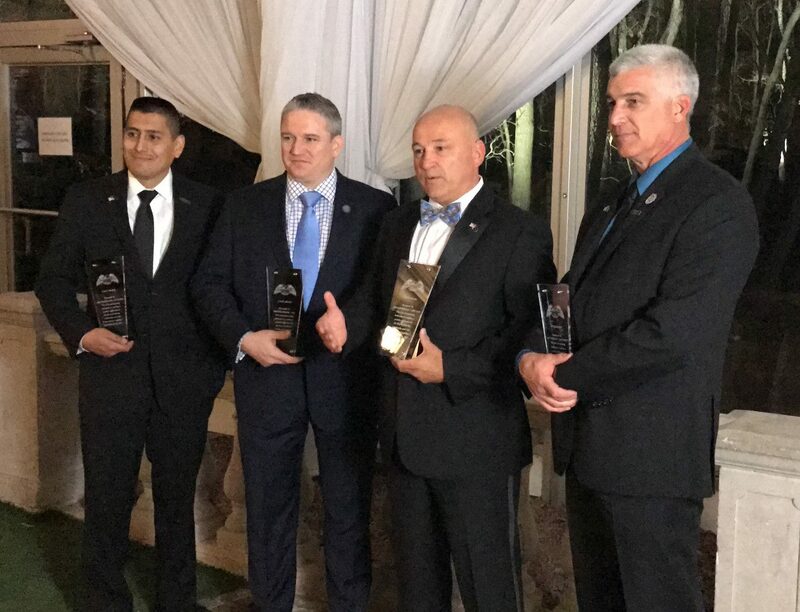 From offices in New York City, we provide a range of services to clients in all five boroughs and surrounding communities. 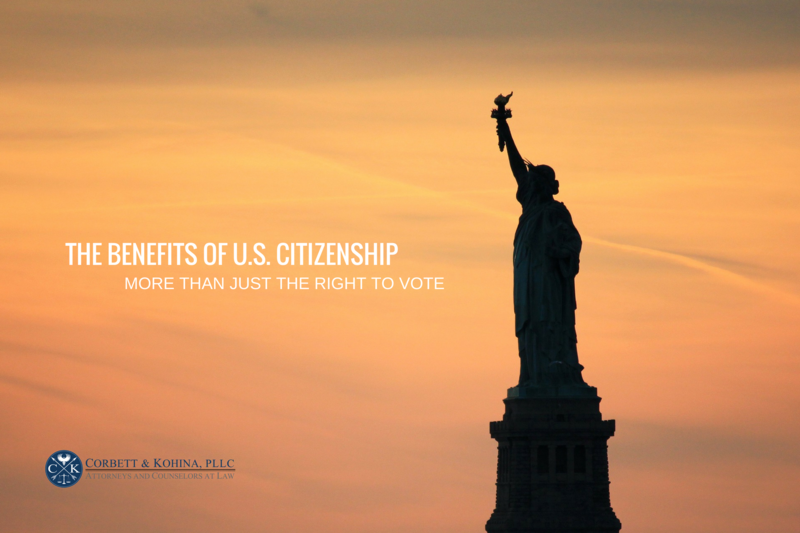 For immigration matters we serve clients from all 50 states and internationally.